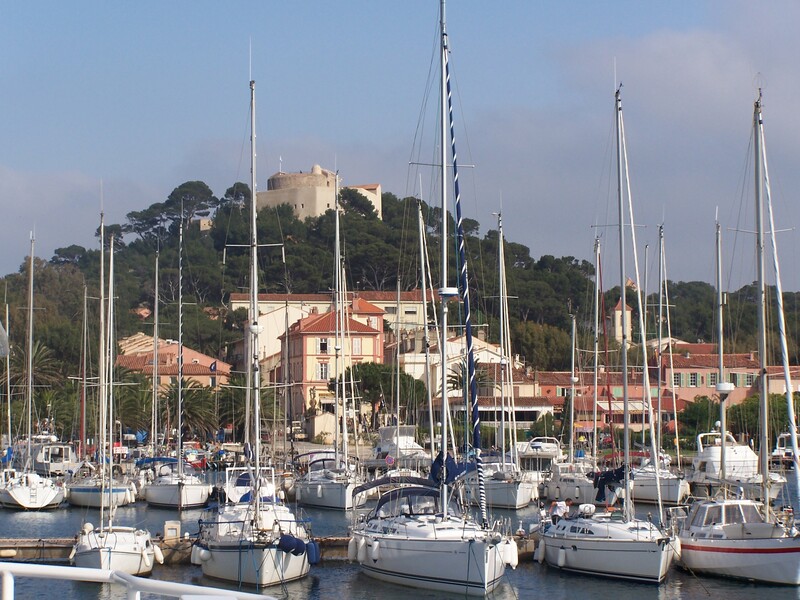 The Porquerolles village, built in 1820, welcomes you all year long. You will find restaurants, and of course our rental bikes store. 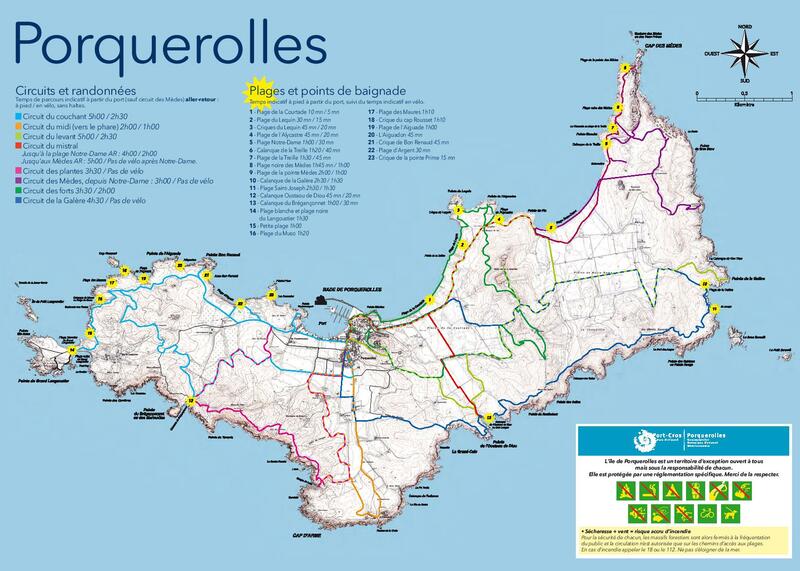 All the walk rides start at the village through paths which lead you to different beautiful places of the island. The Notre-Dame beach is a very beautiful beach of fine sand much less crowded than the other beaches of the island because it is more further from the village in direction of east. It is well sheltered from the mistral in this West part and from the East wind in the East part. 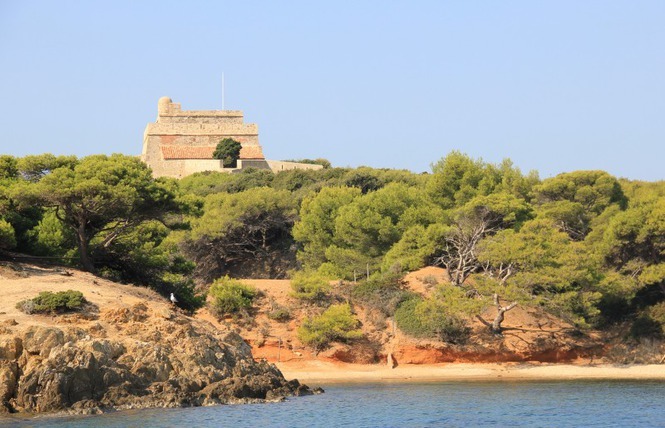 Finally, the pine forest and the oak stand create a cosy atmosphere on the back of the beach. 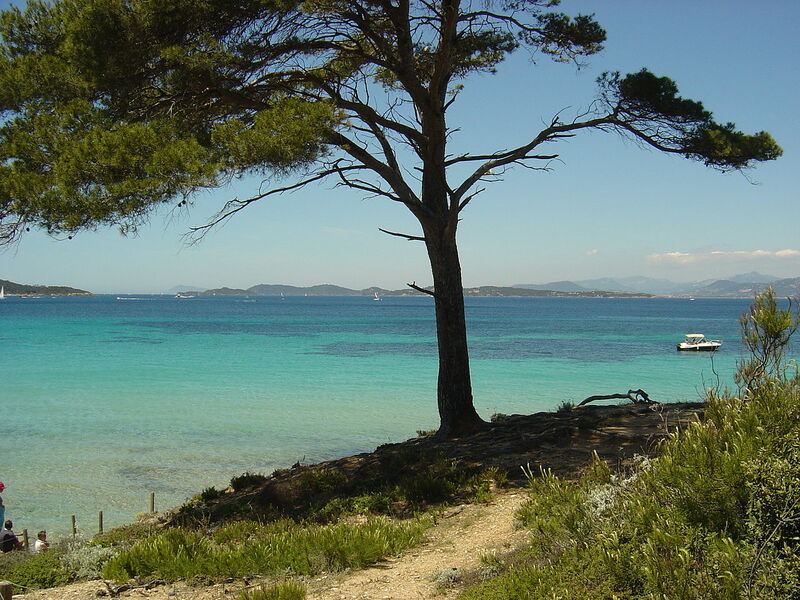 The beach of the Courtade is the biggest one of the Porquerolles island. Very easy to access, it is the closest from the village, so the most domestic. The colour of the turquoise sea and its transparency, the spotless sand and the eucalyptus scents will let you a dream memory. 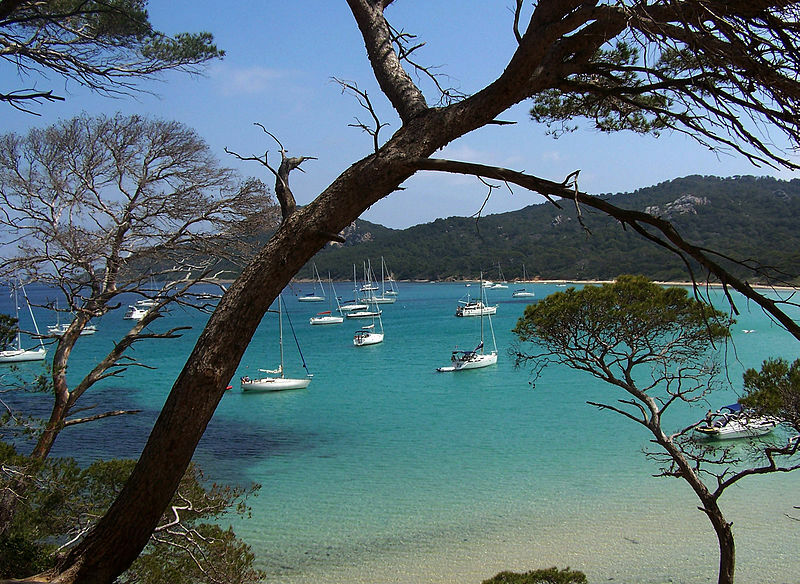 The Silver beach of Porquerolles is the most popular one of the island and attracts numerous families. It is located to 1 kilometer west to the port. It is also the only guarded beach. A very beautiful pine forest is also on the back of the beach. A marvel sheltered from winds and wave swell. 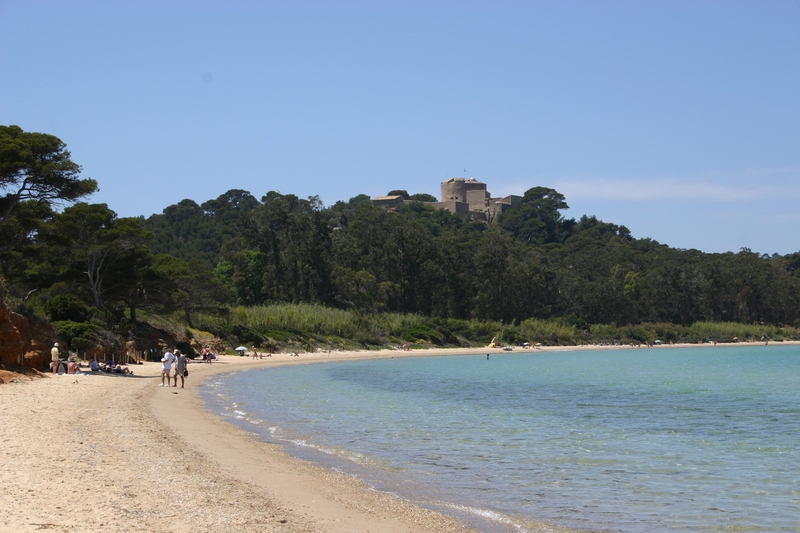 The bay of the Langoustier numbered two beaches : in the north, a spotless sand beach situated face to the Giens peninsula and in the south a black spotless sand beach. From the village, count 30 minutes by bike to go there.